Wow, feels like forever since I've told an actual story! This one's new, and in fact, during my hiatus. I told you it'd come in handy! I haven't really told anyone this, but I'm a big fan of Creepypastas. I love them! They're like the next level of horror material, and if done correctly, can be used to keep you on your toes for the next week! I have somewhat of a "sanity meter" built into my mind. If I listen to too many readings, I become scared of the world around me. Even if I know it's fake, or there's no way the events described are possible, I'm still terrified of my own shadow. So I established a "three-fiction" rule (I only listen to three a night, if desired). But of course, I'm an idiot and wish to listen to as many as I want. Rest in peace, sanity. This "sanity meter" is nothing new. I've had it long before I became a brony. The catch is that I listen to, and read, things that are related to what I like, and at the moment, that means ponies. So OF COURSE I'm going to listen to some PonyPastas! 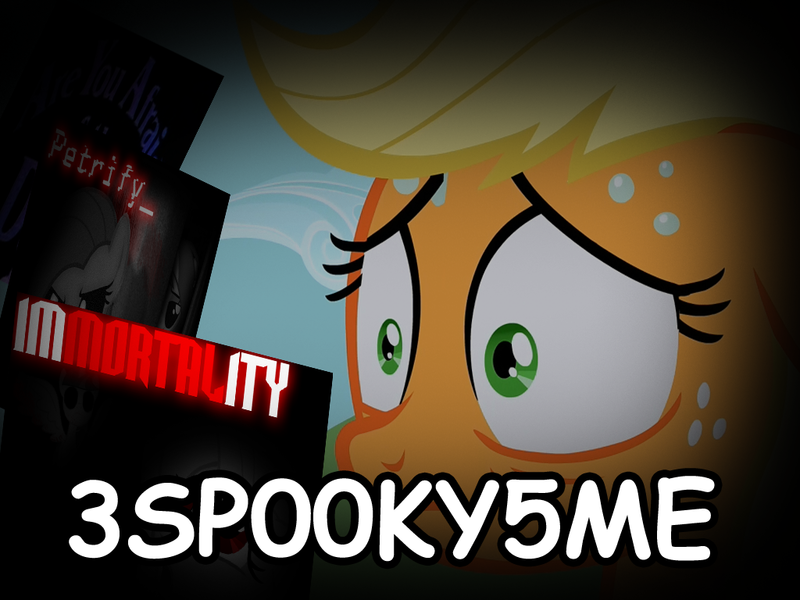 I was on the Ponyville.FM when I found out Scribbler was doing a reading on, "Does it Hurt to Sleep? ", a rather well done fiction. Anyway, the video was about a day old and I was curious. As I explained above, I'm a sucker for that sort of thing, so I decided to give it a shot. Like I said, it was very well written and somewhat believable. Of course, there was a bit of descriptive issues near the end, but that's all fine and dandy when you've got a reader building up the atmosphere. When the first story came to a close, I was intrigued to listen to another, then another. Finally, I stumbled across psychological horror fiction by the name of, "The Hole in My Face"
Let's just say, after the creepypasta, I didn't feel myself. I went to bed and stared at my AJ plush for more than an hour. For some reason, I couldn't quite get the thought out of my head. Her face was as plush and cute as usual, but what if it was an illusion like the story described. I touched it just to make sure. My insanity lasted a good three days. I couldn't think, or bear to look, at my fiance for as long as there was day. No, I didn't have nightmares. If I did, I'd put them down, but I think that's a good story for another time.